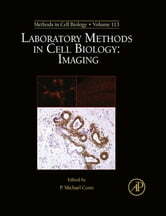 Cell biology spans among the widest diversity of methods in the biological sciences. From physical chemistry to microscopy, cells have given up with secrets only when the questions are asked in the right way! This new volume of Methods in Cell Biology covers laboratory methods in cell biology, and includes methods that are among the most important and elucidating in the discipline, such as bioluminescent imaging of gene expressions, confocal imaging, and electron microscopy of bone.